Energy Development Corp. (EDC) has completed its tender offer for its planned exit from the Philippine Stock Exchange (PSE). In a disclosure to the stock exchange on Wednesday, the Lopez-led company said shareholders holding a total of 2.01 billion common shares accepted the tender offer priced at P7.25 apiece. The enter tender offer size was 2.04 billion common shares. The buyback of shares from the public forms part of the company’s plan to voluntarily delist from the stock exchange. The company said this will help them pursue a corporate strategy that would require greater flexibility over factors such as its dividend policy and leverage. The delisting is also seen to support EDC’s long-term growth. 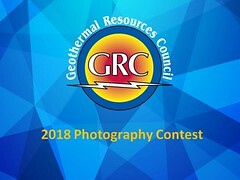 EDC holds nearly 1,200-MW of geothermal capacity, which accounts for 61% of the country’s total installed geothermal capacity.